Arbitration Alert: Call Your Senators Now! The U.S. Senate is likely to vote as soon as today or tomorrow on whether to roll back important financial protections for consumers and servicemembers. 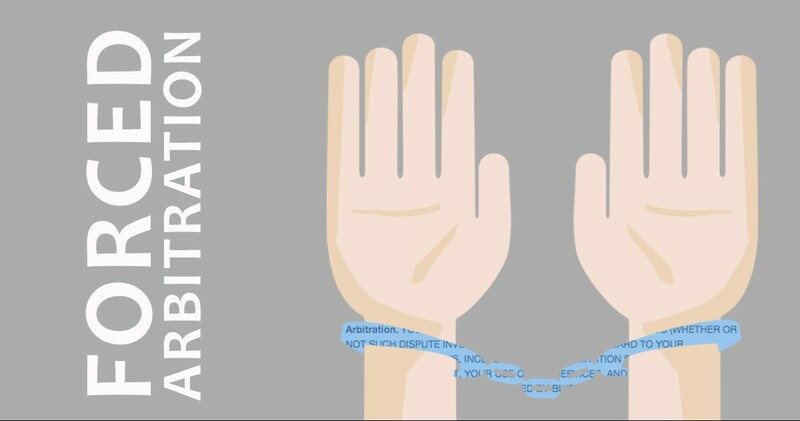 The rule, rolled out by the Consumer Financial Protection Bureau this summer, banned forced arbitration provisions in financial contracts that prevent harmed consumers from banding together in court. This allows consumers to hold wrongdoers fully accountable. But, due to pressure from big bank lobbyists, the new rule may be in jeopardy. Good morning/ afternoon. I'm calling to express my opposition to S.J. Res. 47, which protects predatory financial institutions at the expense of working people. CFPB’s new rule on forced arbitration is critical to holding Wall Street banks and payday lenders accountable. I hope Sen. [NAME] will not vote to take away my 7th Amendment right to sue my bank for fraud or other illegal behavior and instead decides to stand with his/her constituents over Wall Street. Texas' current U.S. Senators are Senator John Cornyn and Senator Ted Cruz. Learn more by listening to our podcast here or by visiting the Fair Arbitration Now website.